Changing software needs are a fact of life for growing businesses. It makes sense: as you acquire more customers, your processes become more complex and you need different tools to manage them. Many businesses start off with just accounting software, like QuickBooks. Next, they might add a CRM to the mix. Then, maybe they’ll add a scheduling tool, or project management software, or a time tracking app. But you can only adopt so many programs before they start to hinder you rather than help you. It’s also worth noting that out-of-the-box software rarely works perfectly for any business because every business has unique needs. To combat this issue, customizable software is your best bet. That’s where Method:CRM comes in. On the surface, Method is a customizable CRM. 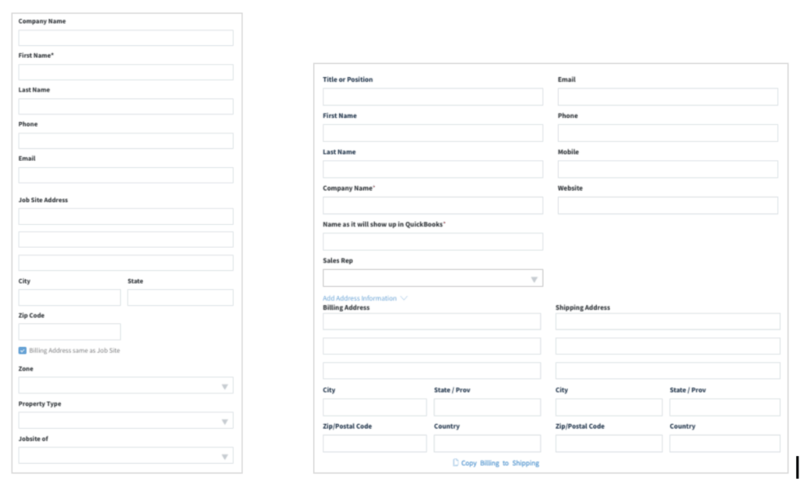 When you hear “customizable CRM,” you probably imagine making small tweaks — change a layout here, add a field there. And while those tweaks are certainly possible in Method, that’s not all it can do. The deeper truth is that all of Method:CRM is built on a fully customizable, no-code platform — and this means Method doesn’t have to be just a CRM. Instead, you can build on this platform to create a multi-faceted business management tool. Of course, no one is expecting you to build accounting software from scratch when existing solutions work so well. 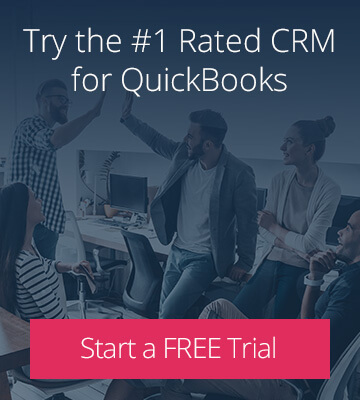 That’s why Method’s other huge selling point is its powerful two-way integration with QuickBooks. When you do anything with customer or transaction data in Method, these changes will automatically sync to QuickBooks and vice versa. 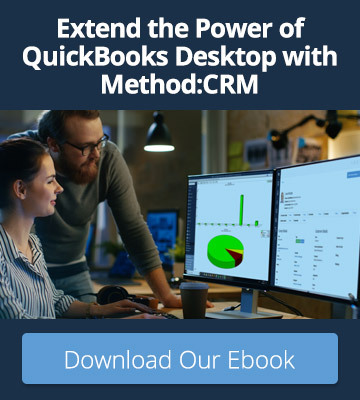 So if you’re already a QuickBooks user and you need greater software capabilities for your business, Method is the answer. To get a better understanding of Method’s potential for small businesses, let’s look at a real-life example. First things first: a brief introduction to Method for those who are unfamiliar with it. When a user logs into their Method account, their dashboard looks something like this. Each tile on the dashboard is an app, and each app stores a different type of data related to customer and sales management. There are apps for contacts, activities, invoices, and so on. Now meet SaaSphalt. SaaSphalt is a third-party software service built on the Method platform by Tech In The Field. It’s designed to help companies in the asphalt industry streamline their operations, from the first point of contact with a customer to invoicing a completed job. When a user signs up for SaaSphalt, they see a dashboard that is visually similar to the standard CRM dashboard. However, the apps on the dashboard are not the same as those in Method:CRM. Instead, each app has been custom-built with the needs of the asphalt industry in mind. There are apps for proposals, measurements, work orders, and so on. This collection of interconnected apps, along with Method’s deep QuickBooks integration, allows asphalt companies to work efficiently within a single system. In the following sections, we’ll look at some examples of how the stock functionality of Method:CRM was adapted to create SaaSphalt. No matter what type of business you have, you presumably have customers and need to track information about them. 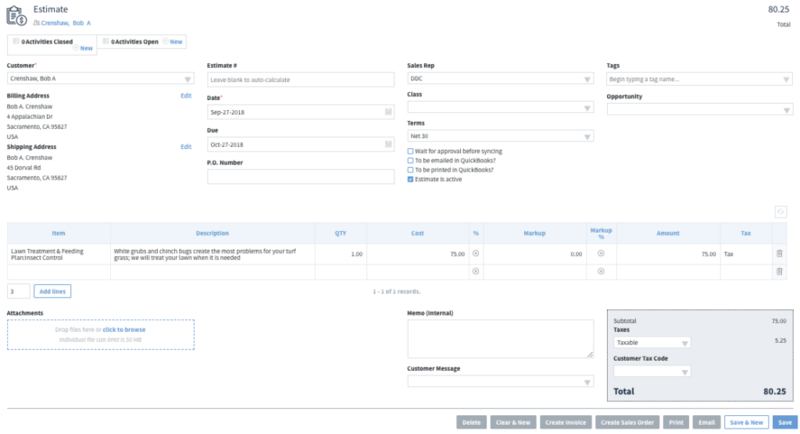 Since Method is a CRM, it of course includes a pre-built app for storing customer data. However, you may not need to capture all of the data this app is designed to hold. Similarly, you may need to track additional data specific to your industry. Removing existing fields or adding new fields to existing apps is a great way to start customizing Method to better suit your business. The screenshots below show the new customer screens in Method:CRM and SaaSphalt. You’ll notice that the CRM asks for pretty generic information, while SaaSphalt also asks for information that’s important to the asphalt industry, like zone and property type. 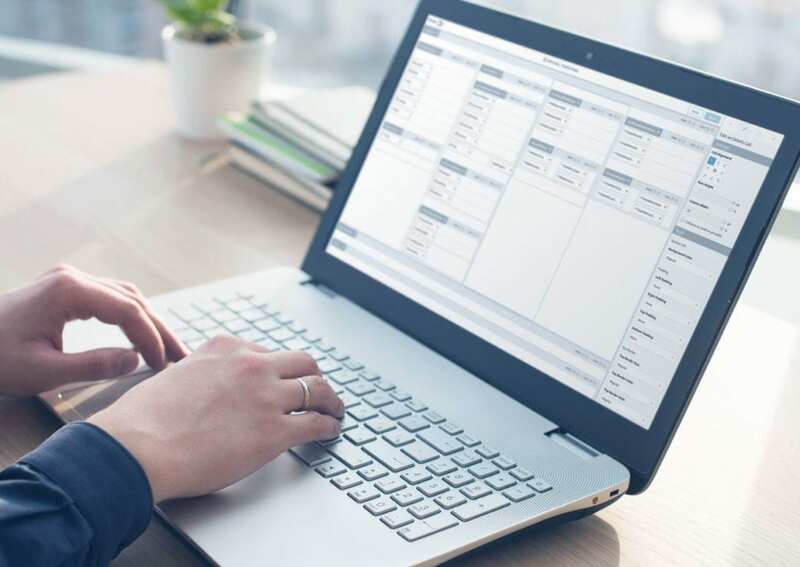 In either case, the newly created customer will automatically sync to QuickBooks, along with any data that is relevant for accounting purposes. If your business has pretty straightforward customer relationship management needs, it’s easy to get up and running with Method. A few simple tweaks to the existing apps may be all it takes to make Method work perfectly for you. By design, the stock apps in Method:CRM are generic enough to work for many types of sales processes. But the true power of Method becomes apparent once you start building apps that are tailor-made for your company’s workflow. For instance, companies in the asphalt industry have specific needs, so the SaaSphalt apps were built with these needs in mind. A couple of examples are highlighted below. The first step in the SaaSphalt workflow is to create a proposal. On first glance, the process looks similar to creating an estimate in Method:CRM. But a closer look reveals specialized features. Users are prompted to add property measurements to the proposal. Next, they choose the type of job, which allows SaaSphalt to calculate pricing based on predetermined job formulas. Finally, they can accept a job and convert it to a work order with the click of a button; this functionality is reminiscent of converting an estimate to an invoice in Method:CRM. SaaSphalt users rely on the work orders app to know what’s happening when. With that in mind, the work order list has additional features compared to standard list screens in Method:CRM. For example, being able to filter the list items by date range or go directly to a calendar view is helpful in an industry where scheduling is paramount. Users can also select multiple jobs and perform actions like printing lists or creating invoices in bulk. This functionality is invaluable for service companies that handle many jobs in a day. And to make things even easier, the invoices created in SaaSphalt sync seamlessly over to QuickBooks. Many businesses have needs that go beyond simple customer relationship management. From scheduling appointments to sharing documents to coordinating projects, there can be a lot of moving parts in your day-to-day operations. If you’re trying to integrate multiple business functions, Method provides you with the blank slate to do so. Every business works differently — so why would you expect the same software to work for every business? The SaaSphalt examples are a great introduction to the possibilities of a customizable CRM, but they only scratch the surface of what Method can do. For businesses that want highly integrated workflows, Method’s no-code platform and powerful QuickBooks sync are an unbeatable combination.